It has been a while since I shared one of my reviews of an independent game stores. But I have recently been enjoying a relatively new place close by to supplement the reviews of stores from my journeys around the US. Jackson, Michigan is a medium-sized city that doesn’t get a lot of name recognition and has hit a few decades of tough economic changes with lot of manufacturing jobs drying up. The last few years has seen the early signs of growth in the city and a new store from a regional chain showed up a couple years back. 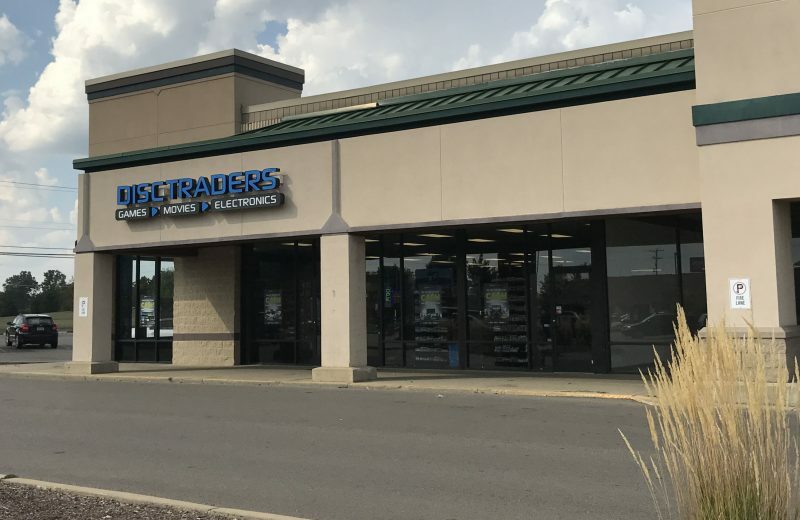 DiscTraders (also known as DiscReplay in other locations) is a chain of over 30 stores within Michigan, Illinois, Indiana, and Iowa (which only has one location). I’m not completely sure why I never visited them before this year. Granted, I didn’t used to drive buy it especially often and the name didn’t focus on games (let alone retro ones). But a number of month’s back, my then 3-year old had a Guitar Hero microphone emergency and I had the idea to see if they could help. Not only did they have plenty of Guitar Hero/Rock Band goodies to choose from, I noticed they had some pretty decent prices and a respectable selection of older gaming stuff. Since I had two children under the age of 4 with me at the time, I did not get to shop for too long, but made a mental note to check back later. After coming back from my writing hiatus, I thought I would create a helpful review of my local store (and hopefully a good indication of the chain in general) for those that live around the Great Lakes area/the Midwest US. If you’ve been to either this store or another one in the DiscTraders/DiscReplay chain, I’d love to hear your thoughts in the comments below. One of my initial hesitations for visiting DiscTraders was that it looked like a pretty clean-cut shop that most likely wouldn’t have anything I’d be interested in. My retro-snobbery let me down and I was pleasantly surprised after just a few moments walking around. It shouldn’t be a surprise that most of the central aisles cater to the current console generation, but it was cool to see some geeky but refined posters in middle aisle display. Once you branch out, you can see some generous shelf space, and some sections dedicated to retro stuff (but have PS1 on the far other side of the store, outward from the PS4/PS3/PS2 titles). Everything felt very clean and well managed, but they do have a LOT of inventory of PS2 and newer stuff (although GameCube is smaller selection than I’d like) and those platforms often have the “overflow” bins filled and take a bit more work to browse. Since I was a local and it was a bigger shop, I didn’t contact anyone to do an interview or anything (and I visited multiple times), so I got a fully unbiased view of the shop. At any given time, there was probably around five staffers working the counter, the back, or filling shelves. Even on a weekend, I didn’t feel like I had to wait long for help our checkout and they were always eager to answer questions and help you find something. On my initial visit, we asked about Guitar Hero stuff and the young lady was quick to point us to where to look and was very friendly to the kids. On my most recent visit, a staffer on his way to stock shelves asked if I was finding everything ok. 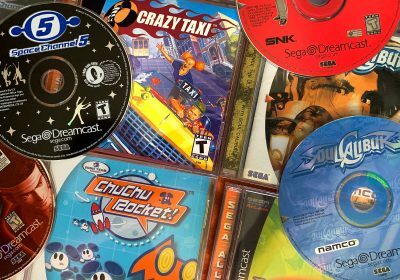 I originally gave my default “yes, thank you”, but after a few moments, I asked “hey, do you guys ever get any Dreamcast games in?”. His reply was a friendly, “oh sure. Gimme a sec and I’ll show you where.” On our way over, I asked about the Saturn too and he mentioned they were in the same section. We ended up chit-chatting about the Dreamcast and how most people that have them typically hold onto them (which totally makes sense) and he briefly was talking about the homebrew scene and such. On my last visit, I had picked out a Sonic Advance 3 cartridge that had two labels – each saying $3.99. That was a pretty awesome deal, so I added it to my pile. When I got home, I noticed it rang up for $7.99. I was rather annoyed, but I took it in to talk to a crew member. They were very kind in adjusting the price and added a friendly joke about Sonic causing trouble. It was a nice test of their service. Customer service is about as good as it gets for more of a chain place – they only thing that would get you a perfect score is if you had a friendly store owner there to chat you up like I experienced at Trade N Games in St. Louis. As I mentioned in the impressions section, DiscTrades initially gives the impression of lots of stocked shelves and a preference to newer games. It also resells Blu Rays and DVDs. Between it’s stark, clean impression when walking in the door and the items I mentioned above, it’s not an overly-nostalgic shop like some single-shop entities that focus more on retro. 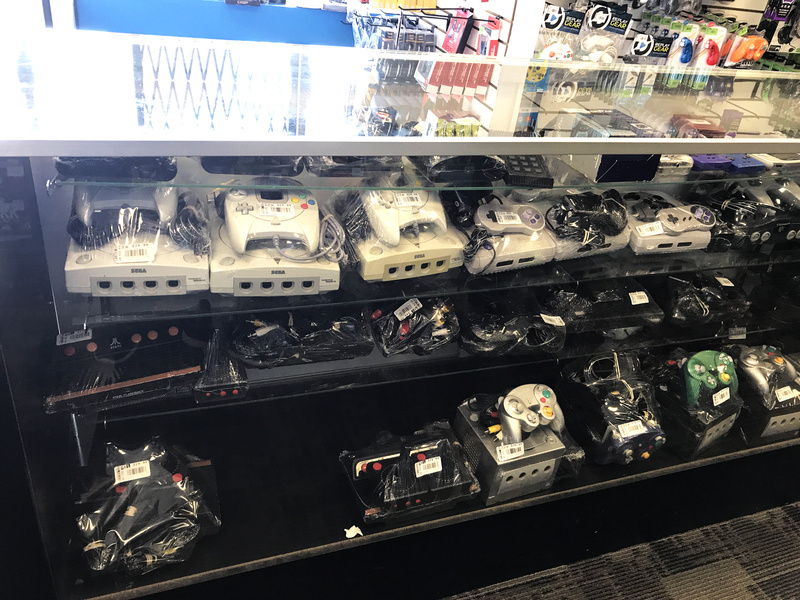 Once you get towards the back of the shop and you see both the retro section and see some of the retro-inspired merchandise behind the counters, you start to feel a bit more at home. It’s typically interesting and try to eavesdrop on conversations while you’re browsing – especially if you’re not in a hurry. On my last visit, I had only been in the shop for like a minute or two and hadn’t headed over to the retro section just yet. However, I heard a guy asking if he could see a couple things in the NES case. Without trying to look like a stalker, I gingerly wandered to the NES case before him and the staffer got back. I looked like I was just browsing, but I listened to him ask to look at the Rockin’ Katz and Romance of the Three Kingdoms II. He inspected the condition including the backs for about 20 seconds each and said he’d like to buy them. I didn’t get to get a good look at them, but his total ended up being a little over $150 after tax – not a bad deal after evaluating both for my Rare and Valuable NES guide this past month. The game selection is pretty browsable, but most all the retro stuff is behind glass. They try to make everything pretty visible, but there are some buried items. I admit that the retro selection at DiscTraders was better than I was expecting and they actually get some good rotation in and out, so it is worth visiting every so often if you can. 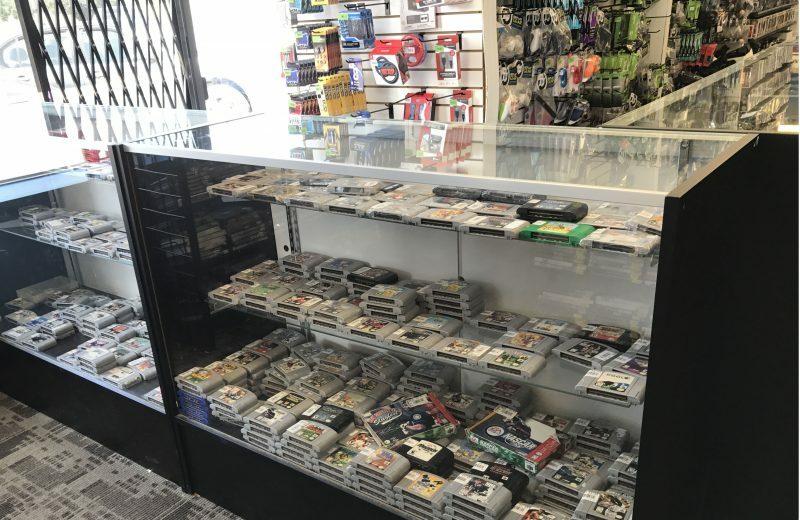 They had a very solid amount of NES, SNES, N64, and Gameboy/GBA carts. But all these Nintendo cartridge-based games were pretty much cart only. Personally, that’s fine for me, but just be aware. 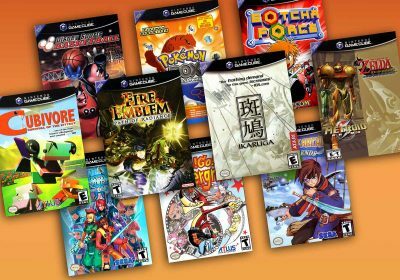 GameCube had a decent showing, but not as much as I would have liked and not as much as the original XBox or any of the PlayStation stuff. Sega Genesis stuff has an “ok” showing of about 50 to 100 carts, but nothing too great. They have a few boxed items, but mostly sports titles. Even the carts I thought were kinda limited. They have some 32X cartridges on occasion. I initially only saw a few random Sega Saturn and Sega CD games in the “retro” case, but I eventually found out they had most of their Dreamcast, Saturn, and Sega CD games in a small shelf above the GameCube section. The blended in so much, I never noticed them on my own. Alas, they were mostly sports games and some random oddities like Incoming and High Octane. They had a few games like Tomb Raider: The Last Revelation, Tokyo Extreme Racer, and Soviet Strike but without the official manual/cover art. If you’re a Sony or Xbox fan, you’ll have a good amount to browse though. They had a lot of PS2 games and very reasonable prices, but I was disappointed to find no copies of a Ratchet and Clank or Jak and Daxter titles. They had one Sly Cooper, but it was a Greatest Hits copy and I’m being a black label snob (good news is that they seem to charge the same amount for Greatest Hits titles as original releases). I also didn’t see too many “Hidden Gems” or shumps. There were a couple of PS2 Gems that I did score though: they had a few copies of Mark of Kri and Adventures of Cookie & Cream. They also had a copy of Space Channel 5: Special Edition for about $4, but not with the original case artwork. 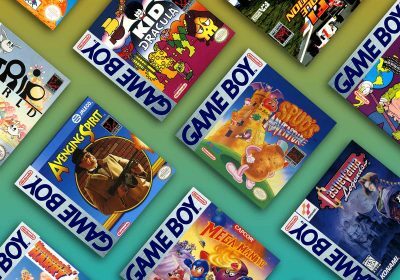 All cartridge games and retro systems are behind glass. You can see most of them ok, but it’s a bummer to not be able to pick them up and look at them, and you have to get a salesperson if you want to get one. I think part of this is because they mostly have the discs taken out of the cases and then fill them upon purchase. Storage of optical discs is much easier than filing and finding cartridges. 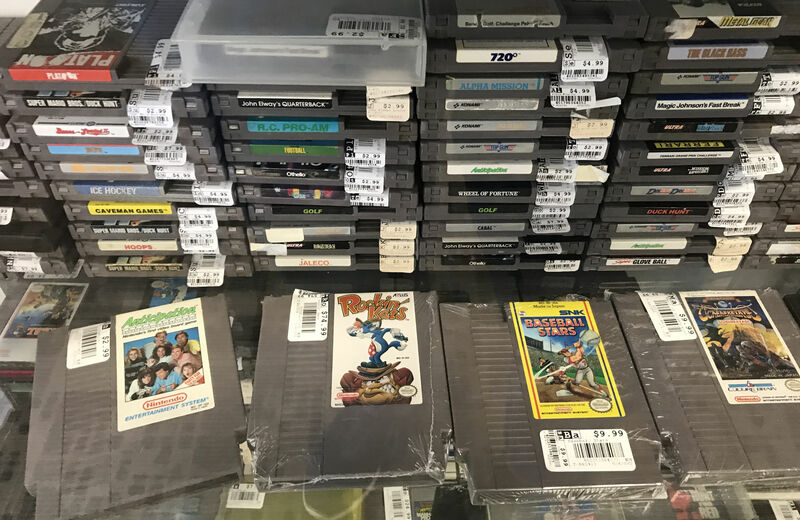 The prices are pretty competitive and you’ll find some good values on most title compared to eBay, but it will probably be tricky to find an outrageous deal on some obscure but rare NES game (they had RC Pro Am 2 and Swamp Thing for rather price tags that reflect their eBay selling price. I visited a couple weeks later and those two games were gone. I was going to go back and grab some pictures, but they must have decent movement on their inventory (this may be related to the customer I mentioned above that seemed to keep an eye out for NES rarities on occasikon). I was very impressed with the overall pricing of games. In all my visits and comparing things of interest to eBay, I feel like I could feel very comfortable getting a reasonable deal on most anything I found that I wanted. You can find some really cheap gems here and there, but don’t expect to get killer deals on rarities – the staff knows stuff that is collectible. 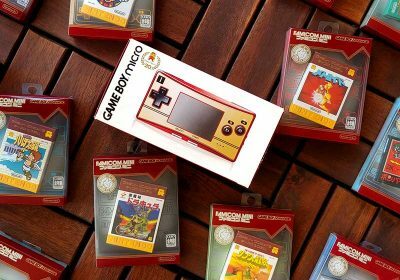 As with most brick-and-mortar stores, big franchises like Mario and Sonic might have just a bit of a premium, but it’s not too much compared to what you may see on eBay nowadays. 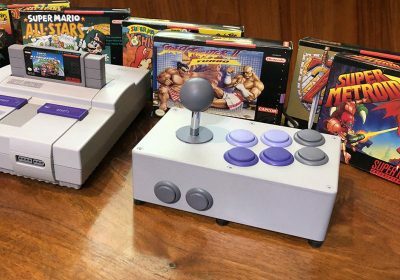 Overall, it is a nice shop to round out your collection of consoles that were big in their era, but have fallen off a bit — right now, I found the best success with the Wii, GBA, PS2, and PS1. DiscTraders seems to go a really solid job of keeping their store and their product selection in good shape. I didn’t see any games on the shelves that looked abused or even in rough shape. There were definitely some that had some good scuffs on them and they weren’t priced any differently for some of the same titles in better condition (same goes for Greatest Hits vs original releases), so pay attention when you’re looking at popular titles. Game cartridges all seemed pretty clean, but there also weren’t a lot of boxed copies (and some boxed Genesis games seemed faded). Anyway, no big complaints, but I’ve seen more pristine lineups. 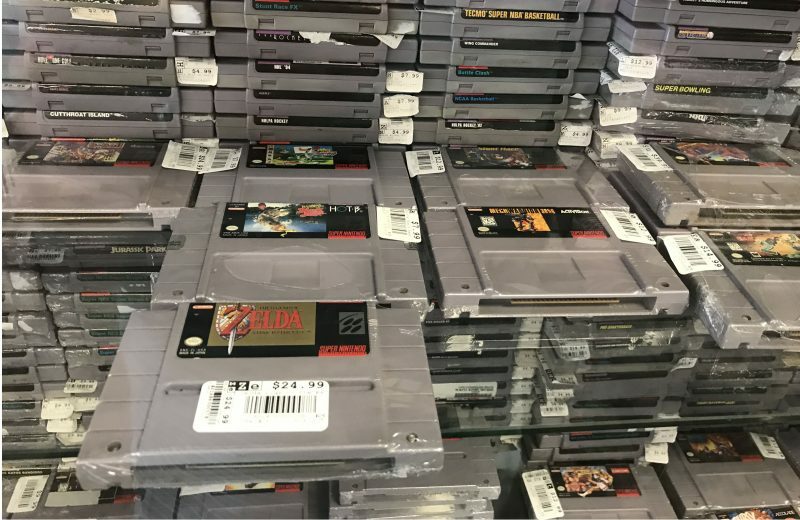 For some of the higher-priced cartridges, they clean them up and shrink wrap them a bit before labeling (see the Zelda cart below). It’s a nice touch that shows that they care. 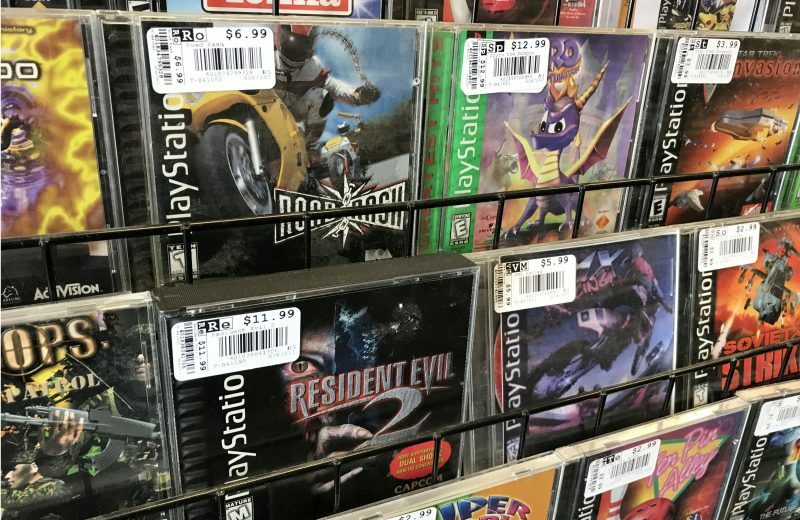 I would imagine it would be pretty hard for a chain store to beat the selection, price, cleanliness and service while also keeping a good rotation of games (especially in the retro market) in smallish Midwest cities like Jackson, Michigan. It reminded me of a better version of the Vintage Stock chain I visited while in Oklahoma a number of years ago. If you know of other that would top this, please let me know in the comments, but I’ve been pretty happy with them so far. Have You Been to DiscTraders/DiscReplay? Want to Contribute Your Own Store Reviews? 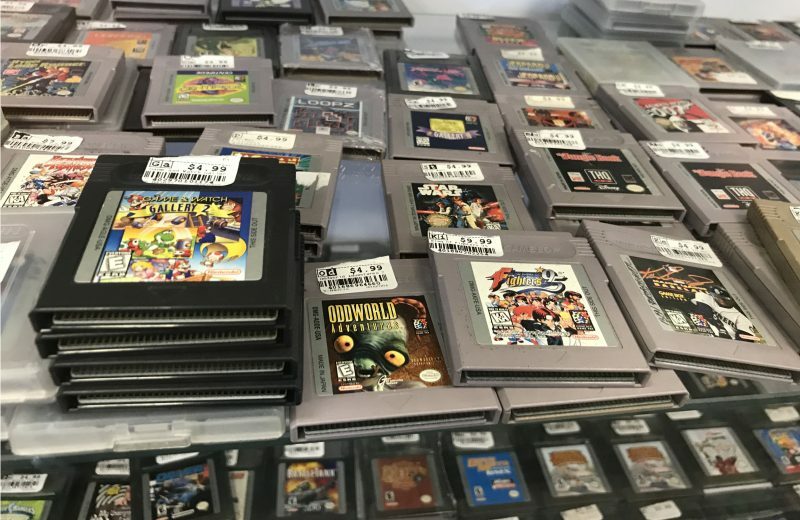 Even though online shopping is a wonderful thing, there is something special about being able to browse a physical store that stocks retro games. If you have one in your area that you would like to review on RetroGaming with Racketboy, please let me know. 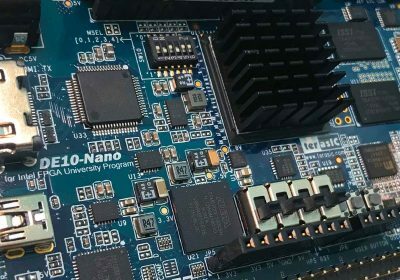 I would like to follow the format I used in this review and include photos. Feel free to contact me if you are interested, and we’ll be discussing this in the forum as well! I also have this old post where I mentioned our store directory, so you can find stores in your area or where you might be traveling to. Wow, kinda freaky seeing a town like Jackson, Michigan on this website. I go to that exact DiscTraders more often than I’d like to admit hahaha. The prices are great for a guy on a college budget, but I do splurge for the nicer games every now and then. It really is a great store. My girlfriend loves the Star Wars posters they usually have. That’s too cool! I also had somebody else on Twitter that just said they had been to the Jackson one last week. Such a small world! It really is a small world haha. Yeah I think the review nails the store perfectly. I haven’t been to the other locations but I’ve heard good things about the Lansing location. I’m not a fan of the lansing location personally. I live right between GR and lansing in a town called ionia. From my personal experience the lansing store is picked pretty clean and way way busy. However I did have fun going threw the GR location which I had made a trip to specifically for 3DO games as the lansing store did not have any on hand. I visited that store once when I was in Parma for a kids school event. I think your review is right on. I got NES Kirby for a good price, maybe Sonic 3 as well. I have been to the Lansing store a bajillion times, they are very solid too. They seem to be very fair on trade-in, nice employees, it’s a good store. There is another shop around the corner called Game Hits, they are cool too. If I stop at one I’ll almost always stop at the other. Where did games relocate to? They used to be down by harbor freight but last time (about a month and a half ago or so) they were closed down, even Google says closed permanently. Hmm typo…..I meant to ask where did game hits relocate to? Oh man, I guess you are right. They moved next to Dominoes sometime in the last year or two, but it looks like they are done for good. Come to think of it, I haven’t been out there since the spring. The Disc Replay in Flint was my go-to retro game mecca for a while. Seemed like every time I went I found an uncommon or rare game selling at a fraction of its eBay value (Mighty Final Fight for $25 was my best score). Since the ‘golden age’ – about 2010-2011 or so – their selection has dwindled and their prices are a little closer to retail. I like the one that just opened up in Troy – they give a really fair amount for trade-ins. Agreed I just got back into this scene again rebuilding a stolen collection and disc traders was first on the list time I visited (2010 or 2011ish) I found several games at amazingly good prices, one specifically I recall getting was metroid fir the nes….$9 man I was amazed…..now there prices have climbed and it seems there stock has decreased, however they are still priced competitively compared to how redicelously out of hand it seems a lot of other places have gotten. The Disc Replays in suburban Illinois seem to be disappearing. I would frequent three of them, which becam two, which became one, and now they are nowhere neat where I live. The store you’re describing seems to be on par with what I would see. Its a shame. I suppose with online sales, its hard for a brick and mortar store to compete when there is overhead and lack of continuous supply. 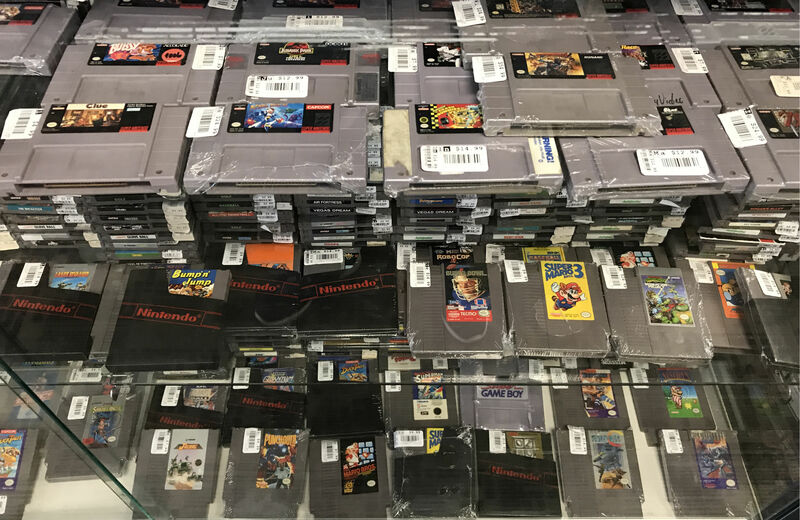 If you can, you should visit some of the DiscTraders stores in Grand Rapids, MI…they are huge and have crazy amounts of inventory. Overall, I’ve also found these stores across Michigan to be a pleasant experience for a chain store. Oh I wish I would have known! The family and I took a mini vacation over in Grand Rapids this past summer — great city. I’ll have to check it out when we visit again. Many thanks!